The opioid crisis is so widespread that it may be affecting you and your loved ones. Understand more about the causes of the opioid crisis in America. About 2.1 million Americans are suffering from opioid addiction. Drugs such as fentanyl, codeine, oxycodone, and hydrocodone are taking hold of people’s lives and tearing them apart. In many cases, they end in fatal overdoses. Those who are addicted often find themselves completely dependent on these drugs. It’s also a painful process for their loved ones, who find themselves helplessly watching on, not knowing what to do. 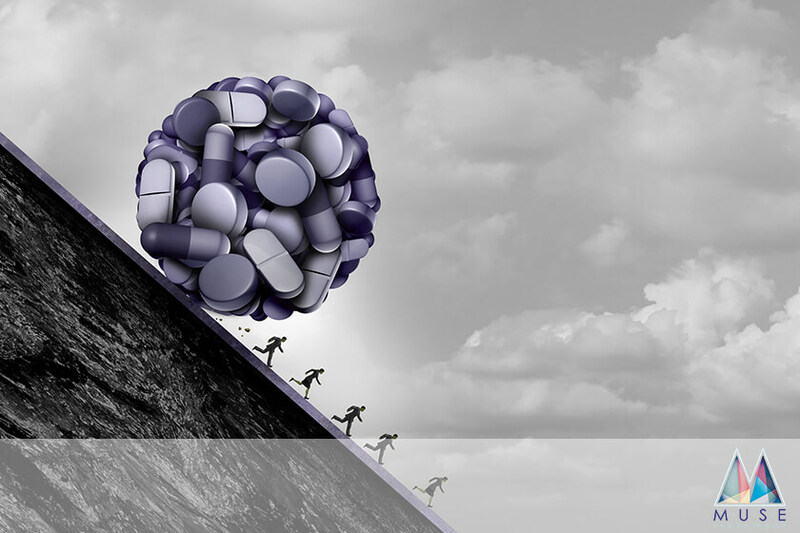 In this article, we’ll tell you all you need to know about the opioid epidemic, why it’s so widespread, and how it can be remedied. Read on to find out what causes the opioid crisis, what the effects are, and what can be done to stop it. President Trump recently recognized the severity of the opioid crisis, declaring it a public emergency in October 2017. As a result of this declaration, public health agencies are expected to channel resources into treating patients suffering from opioid addiction. Wider access to medication is also expected to become available through the use of remote prescriptions. Many people argue that the epidemic was caused by reckless doctors who prescribed opioid pain relievers to their patients when they were not necessary. However, while this is certainly a contributor, it may not be the main cause of the issue. Opioids are generally prescribed by well-meaning doctors looking to relieve their patients of severe and chronic pain. Often, this is a part of end-of-life care. They’re intended to end suffering and improve quality of life. For patients living with chronic pain, opioids are an essential part of treatment. Unfortunately, prescription opioids are often misused. When they’re taken in quantities that are too great, they cause breathing to shut down. When they’re used in combination with alcohol or illegal drugs such as heroin, they are extremely deadly. When patients become addicted to prescription drugs, their moods and sleeping patterns change. In order to gain access to the drugs, they make excessive visits to the doctor, sometimes even faking symptoms. Studies have shown that rural white Californians are disproportionately affected by the opioid crisis. Death rates for those ages 25-34 in the state have doubled, with drug overdoses accounting for a third of the increase. It has been suggested that this was triggered by a lack of professional opportunity as a result of the state’s move from manufacturing to information economy. This has been linked to despair and depression, resulting in alcoholism and suicide as well as opioid abuse. About 90 Americans die every day from opioid overdoses. To combat these figures, first responders and law enforcement officers in many states carry an overdose antidote. This antidote, called Narcan, can be administered by an intravenous injection or a nasal spray. Narcan works by restoring breathing ability and oxygen flow to the brain. It’s extremely fast-acting, and usually takes effect within just a few minutes. This antidote provides a lifeline for opioid addicts. Opioid addiction can often be a gateway to heroin use. This is because when opioid users become addicted to the drugs prescribed to them, they seek those same euphoric effects elsewhere. As heroin is cheaper and easier to obtain, many users make that transition. Since the drug illegal and unregulated, it brings even more risk. The effects on both physical and mental health can be devastating. In these cases, medication-assisted treatment can be used. This treatment reduces withdrawal symptoms and prevents heroin from having any effect on the brain. America’s opioid crisis has grave effects not only for those who are addicted, but for their children, too. When opioid-addicted parents are unable to care for their children, they lose them to social services. This is the unfortunate fate of a huge number of children across the country. In 2016, 92,000 children entered the system as a result of drug use. Other children lose their parents to fatal overdoses, or are born addicted themselves. Babies going through opioid withdrawal require intensive care as they’re unable to eat or sleep normally. They also vomit and shake uncontrollably. This epidemic puts a huge financial strain on the US. According to a report by White House economists, it has cost the country $504 billion dollars. This figure is equal to 2.8% of GDP. This figure includes the cost of medical treatment as well as the impact of opioid-related deaths. As a result of the opioid crisis, the life expectancy of Americans has declined. After dropping for the last two years, it’s now at an average of 78.6 years. This is the first time in a hundred years that the country’s life expectancy has dropped two years in a row since the Spanish flu epidemic. Experts predict that it could take up to twenty years to reverse these effects, as there are people across several generations suffering from opioid addiction. Medical researchers are in the process of developing an opioid vaccine. If successful, the vaccine would prevent the brain from experiencing the euphoric effects that trigger addiction. It has already been proven to produce antibodies against hydrocodone, codeine and oxycodone, preventing these substances from crossing the blood-brain barrier. If the vaccine passes clinical trials, it could be a crucial tool in combating the opioid crisis. Countless Americans are suffering as a result of the opioid epidemic. For those who have become addicted and are seeking ways to take their lives back, help is at hand. Rehabilitation centers across the country accept patients for treatment in a controlled and contained environment. However, this isn’t the only option. Outpatient drug rehab is available, too. This enables patients to be treated from home, so they can continue to live their normal lives. They can keep their family and friends close by, and can even continue working so that their income isn’t affected. To read more, see our post on the benefits of outpatient drug rehab.